Light meal to end the day with usually Rice, Lentil soup, Chapati & Cooked Vegetables. High Calorie and Rich fibre meal with Lentils, Rice, Cooked Vegetable & Chapati. Experienced/Certified guide who knows the trails very well. Follow the guides instruction everytime. Refreshing drink like Tea, Coffee, Energy Drink, Juice or eatable like Sandwich, Chocolate or Biscuits. The land of Ladakh is undoubtedly a photographer's delight and it is a heaven for adventure lovers. The unique allure of the Ladakh comprising turquoise blue sky of jagged peaks and barren landscapes makes up the dream destination for every travellers. Motor Bike Safari and Road Safari is an extreme sport of driving to the limits and beyond. The roads in Ladakh offers superb biking conditions, tough climbs, endless descends and maximum offroad potential for the aventure lovers. The experience of driving through the mountainous valleys, along the winding passes and incredible heights is an experience of life time. Our representative will welcome and transfer you to the hotel. Check in to the hotel for a half day of rest, wherein welcome tea will be served by the Hotel staff. Post lunch visit Leh Market, Leh Palace, and Leh old town. Dinner & Overnight at Hotel. After Breakfast, you will have the ride to the western Ladakh. En-route, you will visit the Pathar Sahib and then move to mysterious Magnetic Hill. Witness the mystery here. You will visit the Indus Confluence at Nimo and have lunch at Nimo. After lunch, you can visit Hall of Fame, & Spituk Monastery. Early morning drive to Nubra valley passing through Khardungla, which is the highest motor-able pass in the world at an altitude of 18,380 ft. Reach Nubra Valley by afternoon. Enjoy the spectacular view of Shayok valley and don’t miss on Desert Safari ride of famous Himalayan Doubled-hump Camel in Hunder. Stay and overnight in Hunder. Early departure (around 8 AM) for Pangong Lake. Enroute the beautiful and unexplored Shok Valley, driving along the Shyok River(The river of Death) You will reach the Pangong lake via Tangtse village. Famed after the shooting of the Bollywood “3 Idiots”. The Lake is around 4-5 kms wide and over 135 kms long, of which about two/third of the lake lies on the other side of the Indo-China Border. Pangong Lake is a hit among among Indian and Foreign Tourists. Camping and Overnight here. En-route enjoy the spectacular drive via Chang-la Pass (alt. 17370 ft.). You will see the 50 shades of the Ladakh Mountain Range. Drive back to Leh by evening. Dinner & overnight at hotel in Leh. Reach back to Leh and the tour ends with you having the memories of the most popular places of Ladakh. Triund- My first trekking experience with Travel d' Globe was just great.I Believe making things simple is something that is missed by most of the travel organizers and travel d'globe has nailed it. Seeking my requirements and providing exactly what I need in just couple of hours helped me save so much time and effort. The booking experience was so easy that I was almost certain that I am going to have a great time on my trek even before starting.I exactly got what I was promised throughout the trek- Starting from the time I got down from the bus at McLeod bus Stand to the time I finished my Trek. The Guide, The On trek assistance, The food, The arrangements- Everything was superfine. I am glad that I chose Travel d'globe for organizing my trek and it was all worth it. Its A great guide to your travel. Take care of your budget and your interests at the same time. Good goin!! Well i love to travel.n these guys r just like santa.price is affordable n what you get back is memories for a life time.so this is what these guys r doing. Good team, but all of them are too lenient on late comers....we had a great time, but were late by 4 hours at starting point itself and that resulted in our trek to Triund to start late afternoon instead of morning. Otherwise, very friendly n cooperative team and fun to travel with. Packages are quite competitively priced. All the best, will definitely join TDG for another trip in near future. Helping all the confused people out there to know where to travel next !!! 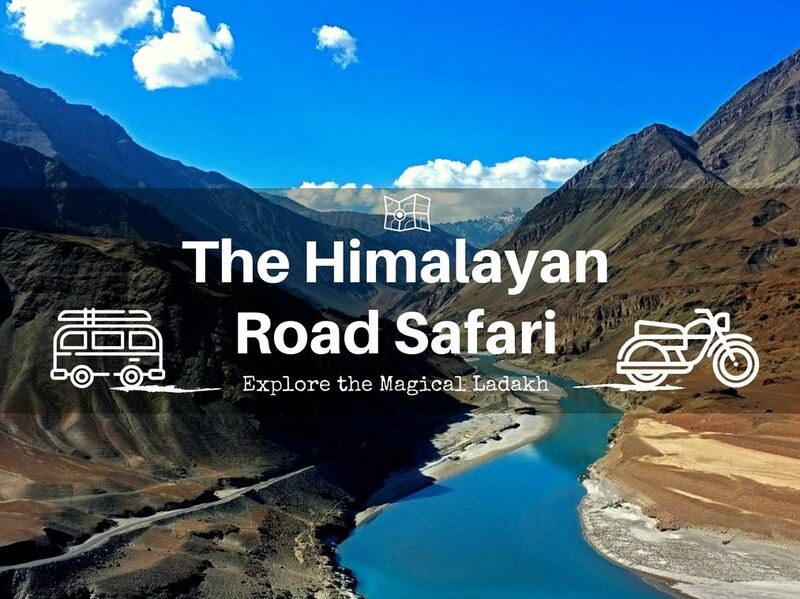 Set at the base of the strong Himalayas and the Karakoram mountain ranges, Ladakh is a backpacker's paradise with numerous trekking trails, mountain biking, valleys, and picturesque lakes. The summers makes the region most beautiful with the coloured mountains, that will make you fall in love with the place. Leh city is the center of Ladakh and has the most dense population in the region. The city is very rich in culture, you will learn to stay happy with a simple lifestyle as the natives. For the food lovers, locals have preserved the ancient flavors of Tibetan and Ladakhi food. If you dare to push your limits and challenge the extreme, Leh Ladakh is the place to go. We crafted this itinerary for our travellers, keeping in mind all their needs. All the inclusions are specifically mentioned in description. Team TDG promise to deliver on your expectations as per this product. You can read our policies to know some of the answers. travel d'globe has created itinerary for its travellers and is responsible for the travellers who booked it from traveldglobe.com only. Based upon the weather conditions, traveldglobe.com reserves all right to change this itinerary. Great! You are among the happy users. Drop your email/mobile no. and our travel expert will reach to you.